Twenty years ago, Ellen O’Shea left her beloved Ireland to make a new life in Australia. 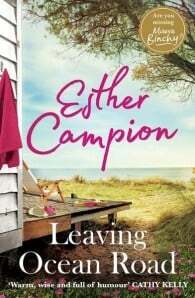 Now a popular local in a small coastal town, but struggling to cope with the death of her much-loved Greek husband, Nick, Ellen finds her world turned upside down when an unexpected visitor lands on her doorstep. The arrival of Gerry Clancy, her first love from Ireland, may just be the catalyst that pulls Ellen out of her pit of grief, but it will also trigger a whole new set of complications for her and those she holds dear.Home is where the heart is – but where exactly is home? Can Ellen and Gerry’s rekindled romance withstand the passage of time, family, young adult children with their own lives, and the shock disclosure of a long-held secret that will put all their closest relationships at risk? Esther Campion is from Cork, Ireland and currently lives in north-west Tasmania. She attended North Presentation Convent in Cork and has degrees from University College Cork and the University of Aberdeen, Scotland. Esther and her Orcadian husband have lived in Ireland, Scotland, Norway and South Australia. 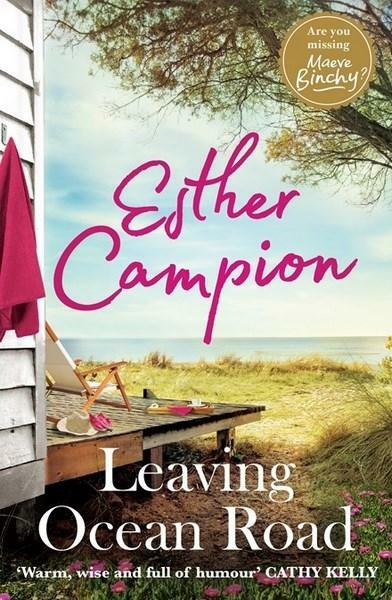 They have a grown-up daughter in Adelaide and the two youngest at home in Tassie with an over-indulged chocolate Labrador and two horses, which Esther firmly believes are living proof that dreams really can come true.